stated mission is to protect human health and to safeguard the natural environment—air, water, and land—on which life depends. The EPA was created in 1970 as an outgrowth of the burgeoning environmental movement in the United States during the 1960s. President Richard M. Nixon signed the Reorganization Plan No. 3 of 1970, the legal document that established the EPA. Although at that time a number of federal environmental programs already existed, they were scattered throughout several different federal agencies. For example, the Federal Water Quality Administration of the Department of the Interior was responsible for certain water pollution programs, the Department of Agriculture was responsible for the regulation of pesticides, and the Department of Health, Education and Welfare was responsible for air pollution and solid waste management. The creation of the EPA was an attempt to consolidate these environmental programs in a coordinated way under the control of one agency with clear-cut responsibility for environmental protection. The EPA opened its doors for business on December 2, 1970, less than eight months after the first Earth Day celebration. programs through statutes passed by Congress. Although there have been several unsuccessful efforts over the years, especially during the late 1980s and early 1990s, to make the EPA a cabinet-level department, it remains an independent agency. EPA's administrator is appointed by the president, but must be confirmed by the Senate. Although not a member of the cabinet, the administrator is directly responsible to the president. 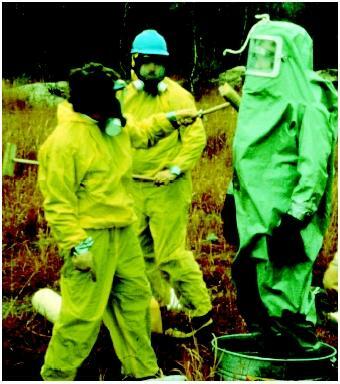 The EPA has a number of assistant administrators who oversee offices with responsibility for EPA's primary programs, including air and radiation; enforcement and compliance assurance; international affairs; prevention, pesticides, and toxic substances; research and development; solid waste and emergency response; and water. The EPA receives its funding through congressional appropriation. In 1970 EPA's annual budget was slightly over $1 billion. In 2002 its annual budget was in excess of $7.3 billion. 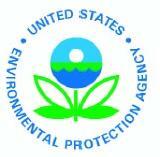 EPA's workforce has grown from approximately 4,000 employees in 1970 to more than 17,000 employees in 2002. The EPA is responsible for implementing and enforcing more than twenty-four major environmental statutes. Some of the most significant environmental statutes include the Clean Air Act; the Clean Water Act; the Comprehensive Environmental Response, Compensation, and Liability Act (Superfund); the Toxic Substances Control Act; the Federal Insecticide, Fungicide and Rodenticide Act; and the Safe Drinking Water Act. The EPA has achieved many significant successes in implementing these programs. One of the agency's earliest accomplishments was banning the pesticide DDT in 1972 after it was found to accumulate in the food chain, where it threatened wildlife populations. This ban, enacted fewer than two years after the formation of the EPA, had particular significance because the environmental risks associated with DDT, about which Rachel Carson warned the public about in her 1962 book Silent Spring, were in large part publicized and disseminated by the environmental movement. Some of EPA's other early accomplishments include the 1973 ban on lead in gasoline; funding to build an advanced network of sewage-treatment facilities to prevent raw sewage from flowing into the nation's waters; establishing discharge limitations for industrial water pollution under the Clean Water Act; the establishment of health-based standards to protect the public water supply under the Safe Drinking Water Act; the 1978 ban on the use of chlorofluorocarbons (CFCs) as propellants in most aerosol cans to protect the ozone layer; and the 1980 establishment of the Superfund program for hazardous waste cleanup. In the 1990s some of EPA's major accomplishments included the annual release of information on the location and nature of toxic chemical releases in communities throughout the country through the Toxics Release Inventory (TRI); the 1990 establishment of the first public–private partnership to reduce industrial emissions under the Pollution Prevention Act; obtaining the largest environmental criminal damage settlement in history in 1991 (totaling over $1 billion) for the 1989 Exxon Valdez oil spill; and establishing pollution-control standards under the Clean Air Act to reduce toxic air pollutants by 90 percent. During this same decade, in response to the rapid development of biotechnology products, the EPA established new regulatory programs to address the risks from the release of genetically modified organisms into the environment. In addition, one of EPA's most significant roles remains that of enforcer of the nation's environmental laws. In 1997 alone, the EPA levied nearly $170 million in administrative penalties, and referred 278 criminal cases to the Department of Justice (DOJ) for prosecution. In that same year the EPA referred 426 civil cases to the DOJ and assessed $95 million in civil penalties. Although the EPA is the primary federal agency responsible for environmental protection in the United States, there are several other federal agencies that bear some responsibility for environmental protection in specified areas. The EPA is primarily concerned with regulatory programs, such as pollution-control programs, designed to protect human health and the environment. Other federal agencies are responsible for other types of programs, such as the management of public lands and natural resources and the protection of threatened and endangered species. In addition to other federal agencies with environmental responsibility, virtually every one of the fifty states has an agency responsible for pollution control. The type and extent of state regulation vary widely. The EPA has delegated the majority of federal environmental laws it administers to state environmental agencies. However, when the EPA delegates a program to a state, it retains oversight authority over that program. Outside the United States, many other developing countries, particularly those in the West, have agencies responsible for environmental protection that are very similar in scope and structure to the EPA. For example, Germany, France, and Great Britain all have national environmental agencies with primary responsibility for the regulation of air and water pollution and public and hazardous waste disposal. Other countries have taken somewhat different approaches. For example, in Japan, although a national Environmental Agency was established in 1971, the national government initially did not play an active role in environmental regulation. Instead, many of Japan's large cities developed their own environmental protection programs. Rather than rely on formal laws and regulations, these cities sought to achieve environmental protection through agreements between the local governments and industry there. The pollution-control agreements resulting in environmental protection within Japan stand in contrast to the regulatory systems of many Western countries. During its existence, despite its numerous successes and accomplishments, EPA often has been the target of criticism, both by industries asserting that EPA's regulations are too stringent and are imposing too great an economic cost, and by environmentalists who claim that EPA is not doing enough to protect public health and the environment. Despite these debates, public opinion polls consistently show a strong support for environmental protection programs. Nevertheless, controversy continues over the appropriate direction and scope of EPA's specific regulatory programs. SEE ALSO A GENCIES, R EGULATORY ; U.S. A RMY C ORPS OF E NGINEERS ; E NVIRONMENT C ANADA ; ; U.S. C OAST G UARD . Antista, James V.; Boardman, Dorothy Lowe; Cloud, Thomas A.; et al. (2001). "Federal, State, and Local Environmental Control Agencies." In Treatise on Florida Environmental and Land Use Law, Vol. 1. Tallahassee, FL: The Florida Bar. Ferrey, Steven. (2001). Environmental Law: Examples and Explanations, 2nd edition. New York: Aspen Publishers. Lovei, Magda, and Weiss, Charles, Jr. (1998). Management and Institutions in OECD Countries: Lessons from Experience. Washington, D.C.: World Bank. Moya, Olga L., and Fono, Andrew L. (2001). Federal Environmental Law: The User's Guide, 2nd edition. St. Paul, MN: West Publishing Company. Rodgers, William H., Jr. (1994). Environmental Law, 2nd edition. St. Paul, MN: West Publishing Company. U.S. Environmental Protection Agency. (1995/1996). Information Resource Management. Access EPA 220-B-95-004. Washington, D.C.: U.S. Government Printing Office. Government Institutes. (1994). "How EPA Works: A Guide to EPA Organization and Functions." Rockville, MD. Available from http://www.epa.gov/html . "It seemed to me important to demonstrate to the public that the government was capable of being responsive to their expressed concerns; namely, that we would do something about the environment. Therefore, it was important for us to advocate strong environmental compliance, back it up, and do it; to actually show we were willing to take on the large institutions in the society which hadn't been paying much attention to the environment." —William D. Ruckelshaus, on his expectations when named the first EPA Administrator in December 1970.